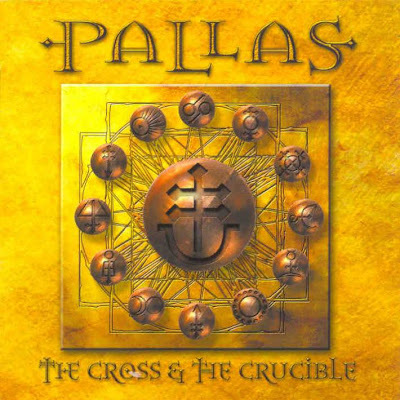 PALLAS is, after MARILLION, and along with IQ and PENDRAGON, one of the most important acts of the Eighties Progressive rebirth. This is an energetic and magnificent neo progressive band in the style of IQ/MARILLION but with more edge. Their music is centered on melodic hooks, loud sound and great voice. "The Sentinel" brings a tint of pop in a still elaborate progressive spectrum. Scottish prog band PALLAS definitely have one of the longest gaps between albums on record. They released their first album, "The Sentinel" in 1984 and followed it up with "The Wedge" two years later. Their next album, "Beat the Drum" (72 minutes of music with epic accents, rock rhythms and style, and ballads full of feeling), did not show up for 13 years. It will be followed by the wonderful "The Cross And The Crucible" in 2001. This album features all the things prog fans are looking for - atmospheric keyboards, great guitar tunes and a well working rhythm section - and last but not least an vocalist with an very own style. Highly recommended to fans of neo Progressive style.